Aside from technical difficulties causing the show to be delayed for over half an hour, once things gets going the production values throughout are incredible. 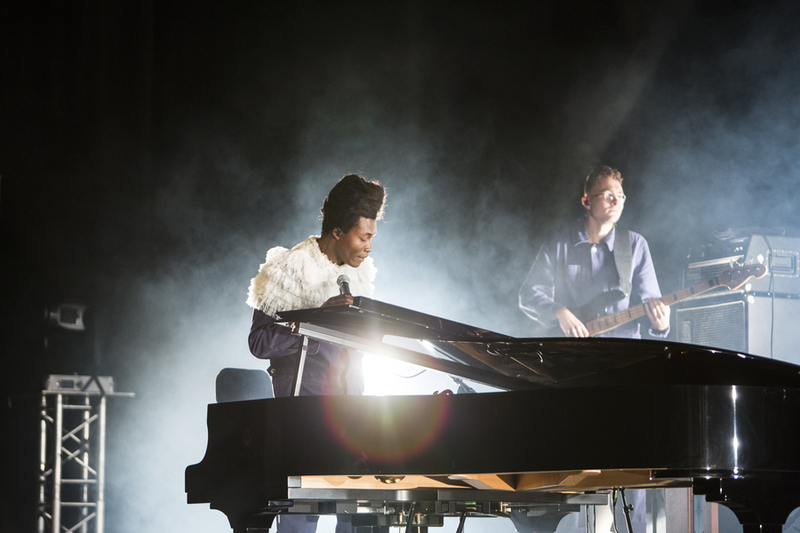 Lights dim and shine on Benjamin Clementine and his backing singers, who are lined up behind the band at the back of the stage in similar fashion to Solange's staging of her recent wave of shows. 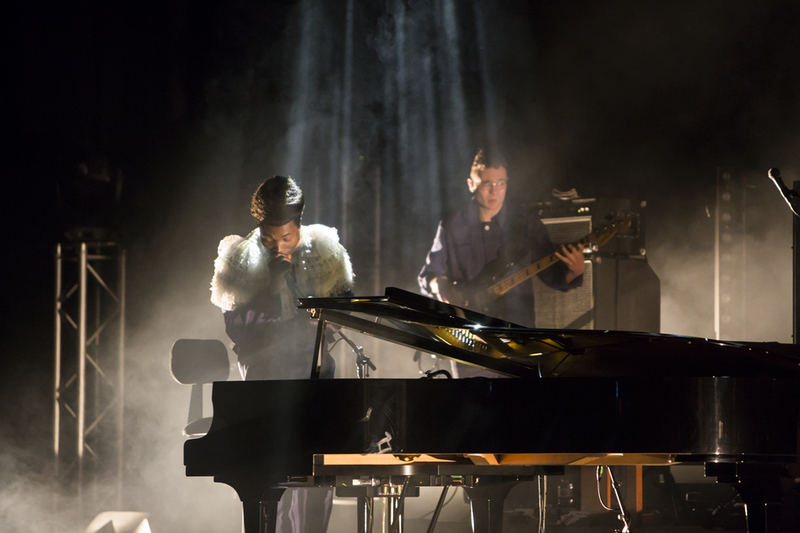 Initially, Clementine appears quite nervous on stage, but only when communicating with the crowd. He twists dramatically from a shy, sensitive character when chatting between songs to a confident, captivating performer when playing. He appears to grow more comfortable though, once he builds more of a rapport with the audience and by the time the show draws to a close, he’s cracking jokes and engaging more with his fans. After a somewhat excessive period of chat, he acknowledges that he is perhaps talking too much and claims he would rather just play his songs. This doesn’t seem to be the case, however, given the amount of talking he actually does throughout the show. 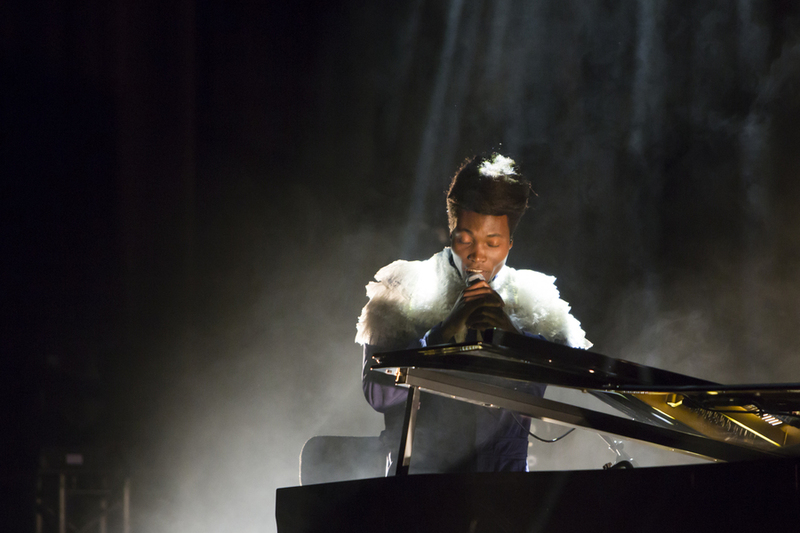 Benjamin Clementine is a true talent and even in such a formal setting in a massive venue, his performance feels as intimate and captivating as it would in a tiny club.